We investigated many great philosophers and were most influenced by Jean Piaget’s Constructivist Theory and Lev Vygotsky’s Socio-Constructivist Theory, as well as the works of John Dewey on the importance of bringing students’ past experiences into the classroom. The works of Jerome Bruner and Paulo Freire also amazed us. We share the belief that each person constructs his or her own intelligence through direct interaction with the environment and social groups. Our philosophy is to be carried out by emphasizing the child’s abilities, competences, and natural aptitude, developing and fostering the child in ways that encourage the development of new and inherent talents. 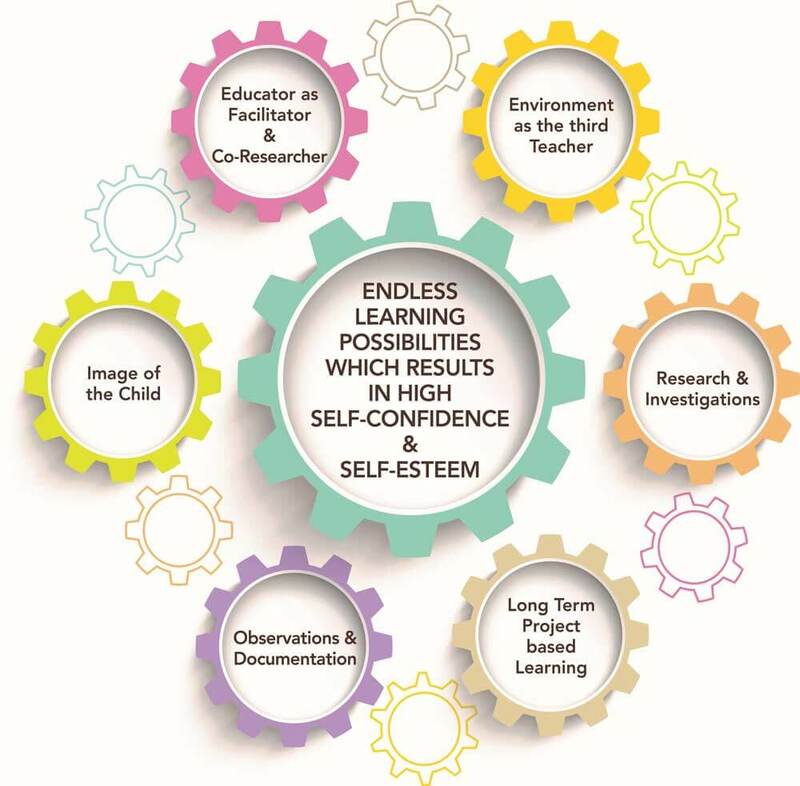 These qualities will in turn allow the child to embark on and prosper in life with confidence and skill, especially in his or her future educational endeavors. In addition, learning will take place through positive relationships and caring adults. We believe that all children have a right to high quality education. At the core of this concept is the child’s natural curiosity of their world coupled with a respect for the countless qualities and values that we believe each child is born with. Along with the support of parents, teachers, and the community, children will build their learning and development with determination and enthusiasm while learning how to discover knowledge and improve their communication skills as they plan and make decisions in small groups. They will become prepared to successfully excel in their lives as well as in their elementary, middle, high school, and university education, on which their future success will so greatly depend. 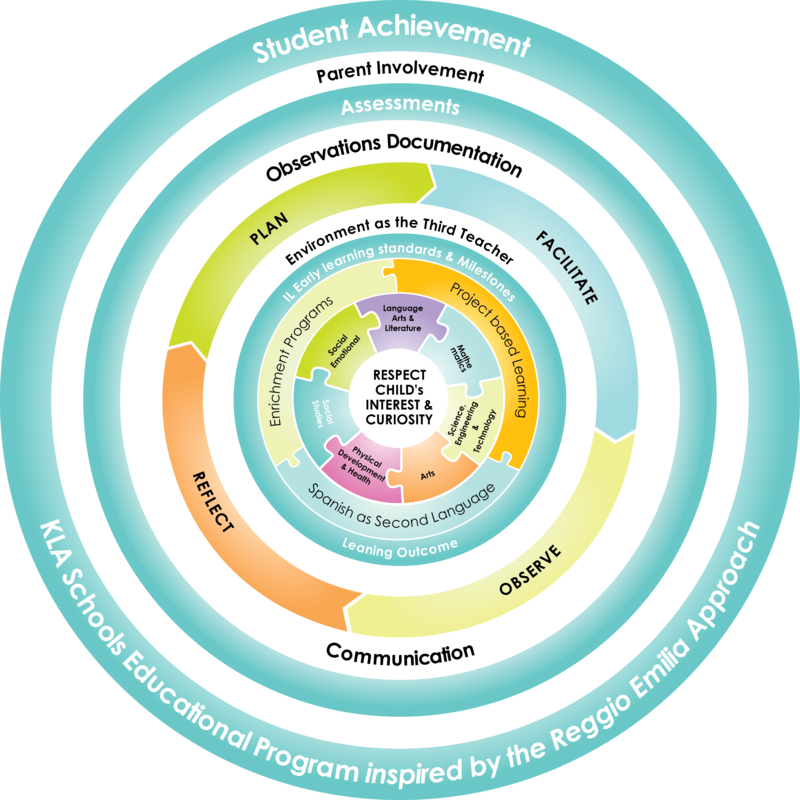 The Reggio Emilia Approach derives its name from its place of origin, Reggio Emilia, a city located in Emilia Romagna in Northern Italy. Shortly after the Second World War, the parents of this region collaborated with Loris Malaguzzi, a lifelong educator, innovator and creative philosopher to find a unique public system of childcare education. Loris Malaguzzi and the parents of Reggio Emilia Italy were devastated by the destruction that took place during World War II and believed that the approach to education had to fundamentally change. Based on principles of respect, responsibility and community, a philosophy was born. 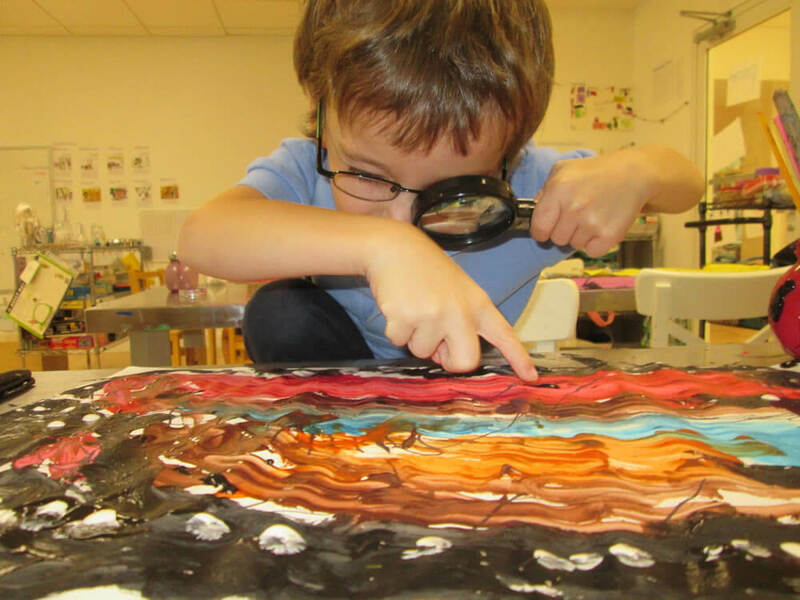 In the Reggio Emilia Approach, there is a coined expression, “A child has a hundred languages.” The approach unites and develops all languages-innovation, nature, construction, fantasy, art, music, dance, building, writing, talking, signing, science, body, and soul. The multiple languages are used to help children build knowledge and understand the world around them. 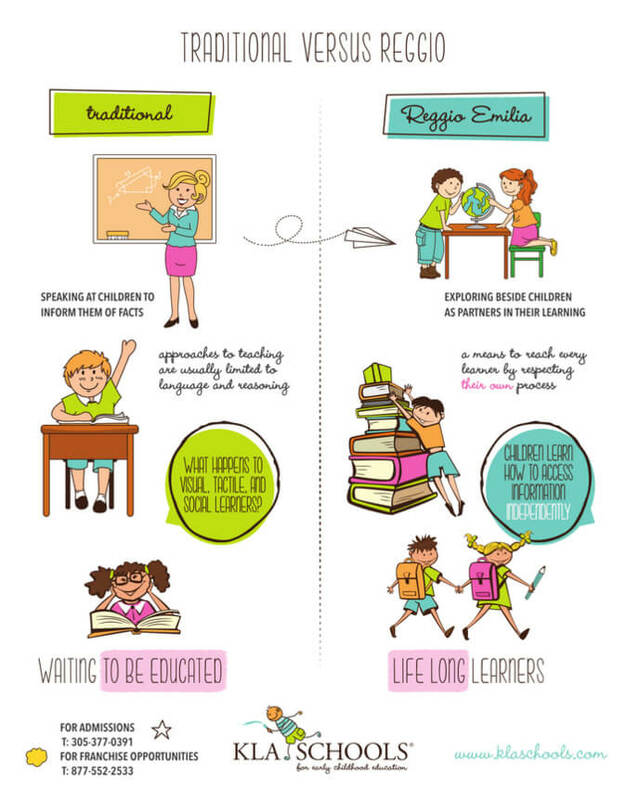 The Reggio Emilia Philosophy believes in the rights and opinions of each child. A child is a competent, capable and natural researcher who has the desire for knowledge and life and is always ready for challenges. The teacher plays a critical role by being the child’s partner and recognizing many learning possibilities. In order to further the learning process, teachers listen, observe, inquire, document, work together and reflect upon the experiences of children. The spaces of the schools are both thoughtful and inviting. 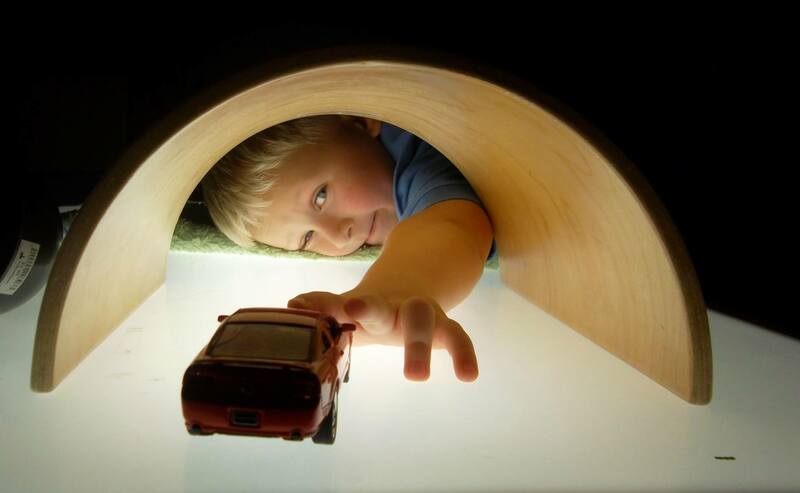 The Reggio Emilia Philosophy believes that the environment in which your child explores is the third teacher. Materials in the classroom inspire children to think outside the box. Each moment of your child’s day at a KLA School is filled with meaningful experiences and thoughtful interactions. In order to understand children and the way they learn, teachers work diligently to document all aspects of the learning process. 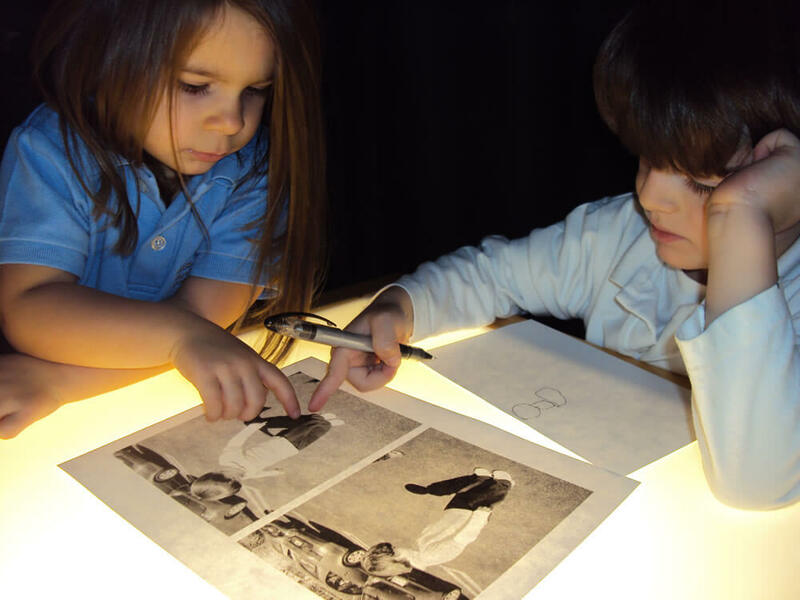 From daily highlights, child specific observations and children’s artwork, all moments are considered pieces of the process and are made visible in the classroom for revisiting and reflection. 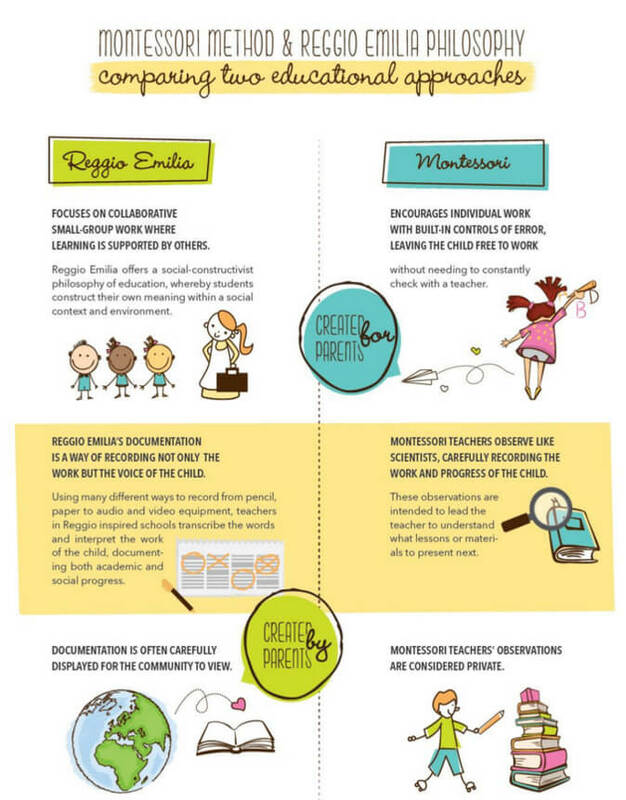 Teachers and children alike are able to view their thinking and their learning process through documentation.